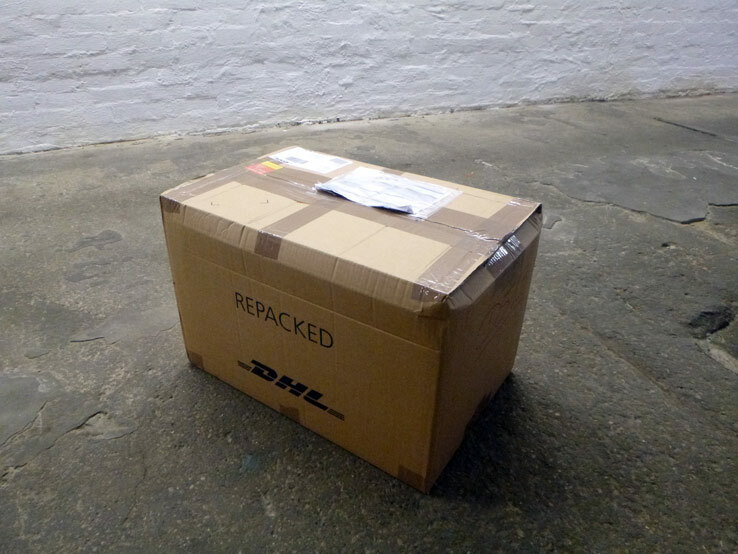 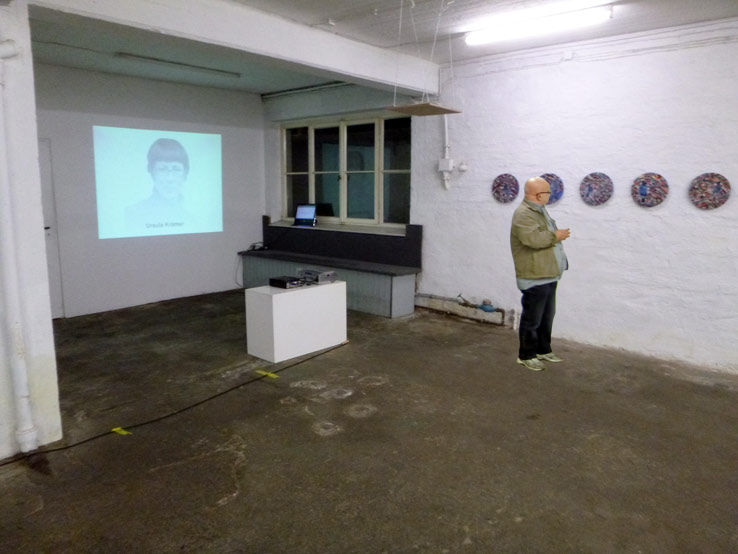 In the context of art, a code written by a programmer could be seen as a medium that is used to form an object of art with which the viewer starts the communication process. 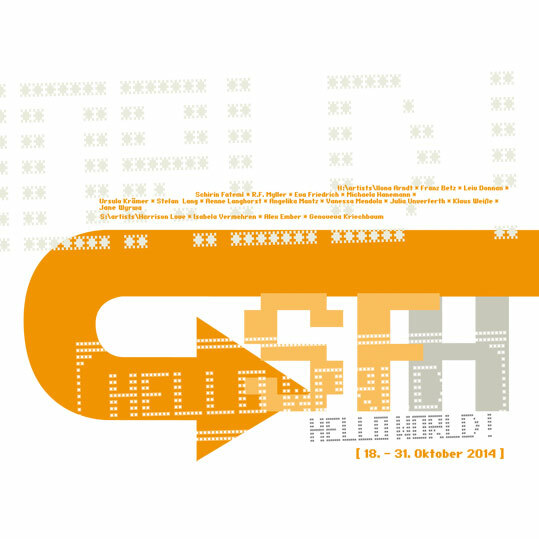 HELLO WORLD is a Hello to the other side of the world and the start of a conversation or a debate with the other/unknown/foreign. 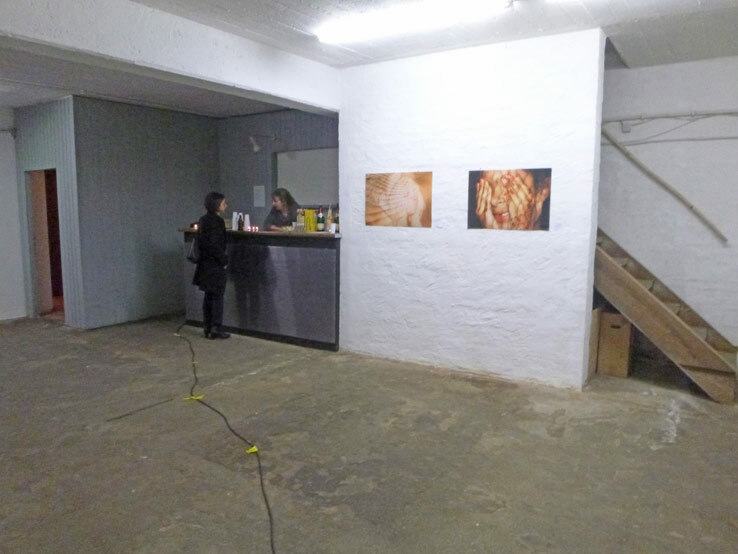 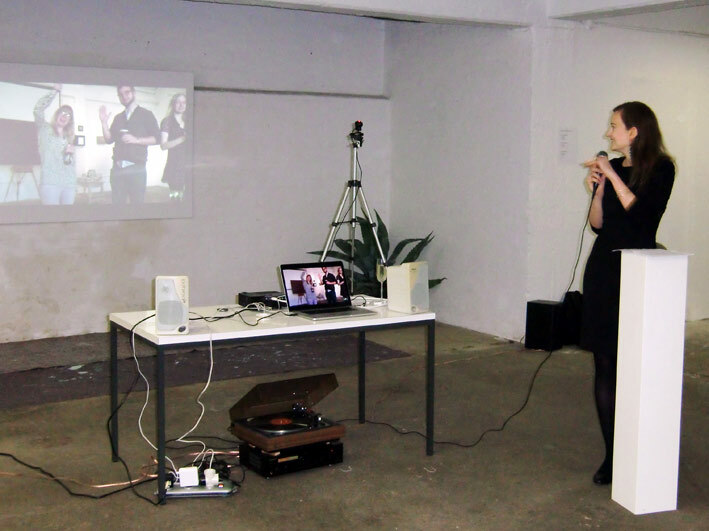 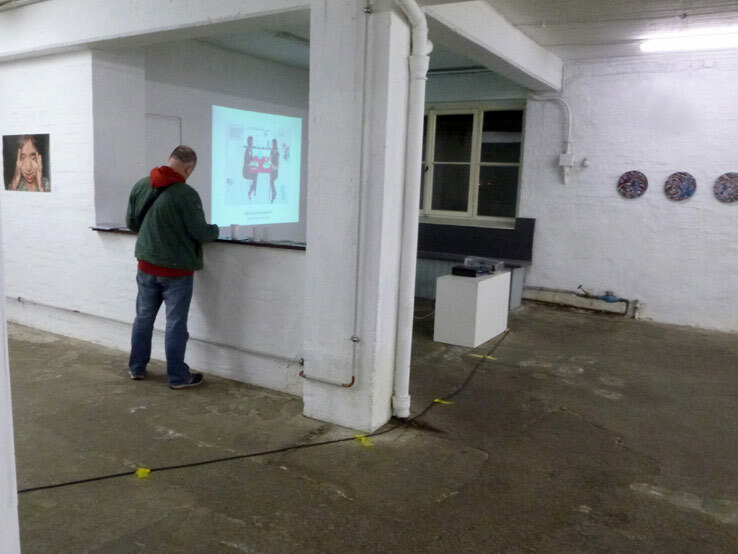 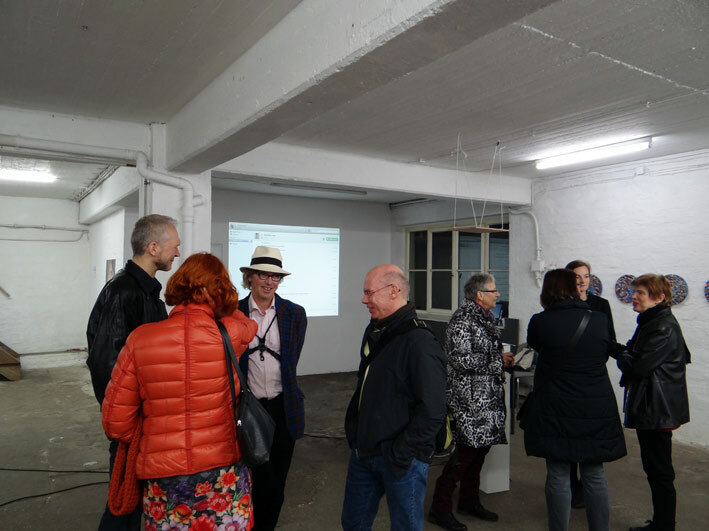 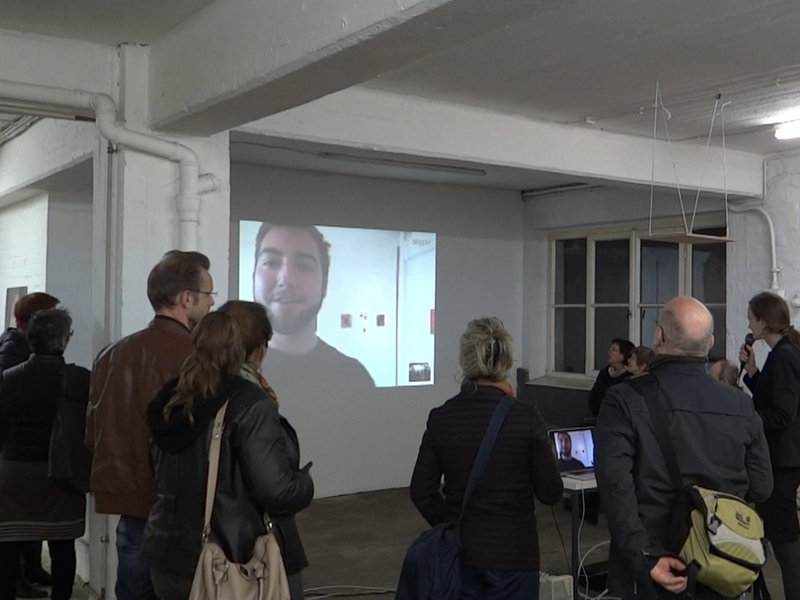 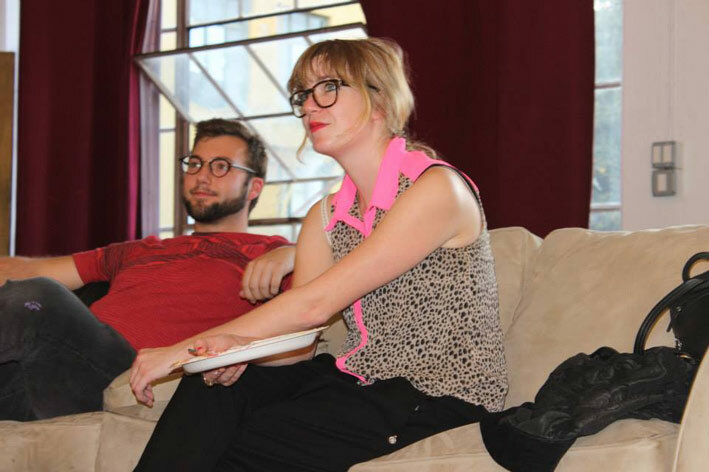 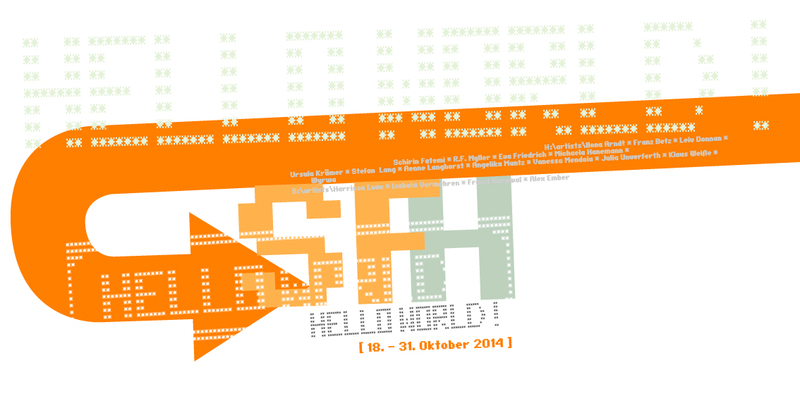 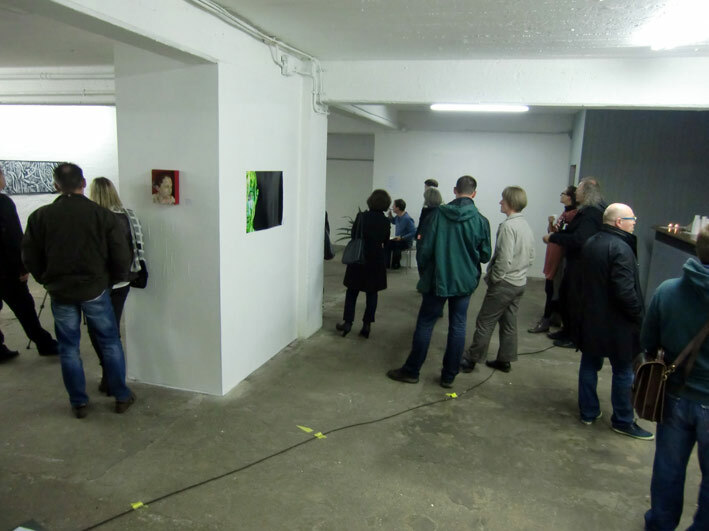 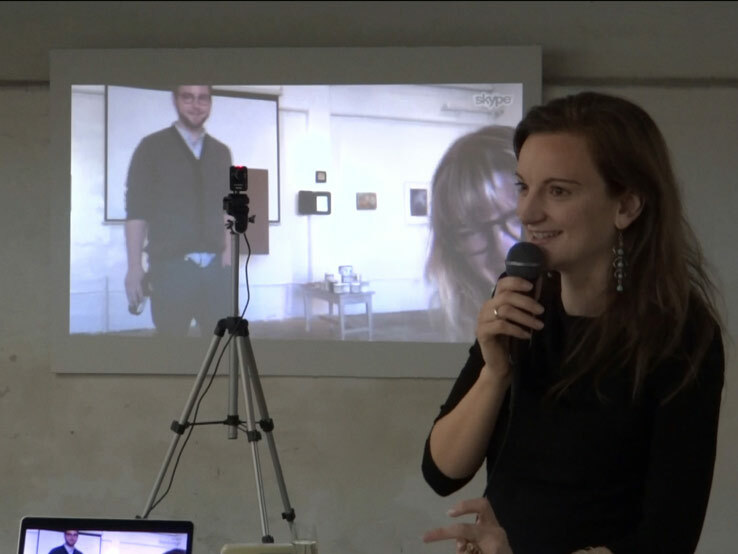 The exchange exhibition HELLO WORLD is a project of Michaela Hanemann and was realized in collaboration with Stefan Lang and Aenne Langhorst from Hanover as well as with a friendly support of Hanover city. 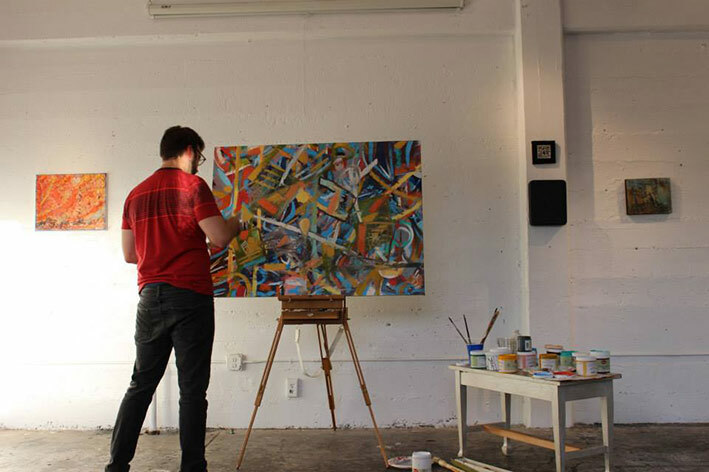 Guestcurator of San Francisco is Harrison Love in association with „Last Thursday‘s“ at The SUB in San Francisco and in Collaboration with Alex Cy Ember. 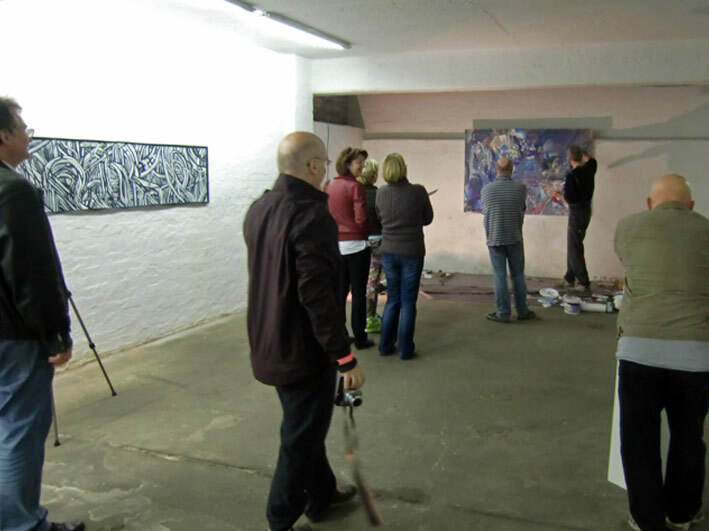 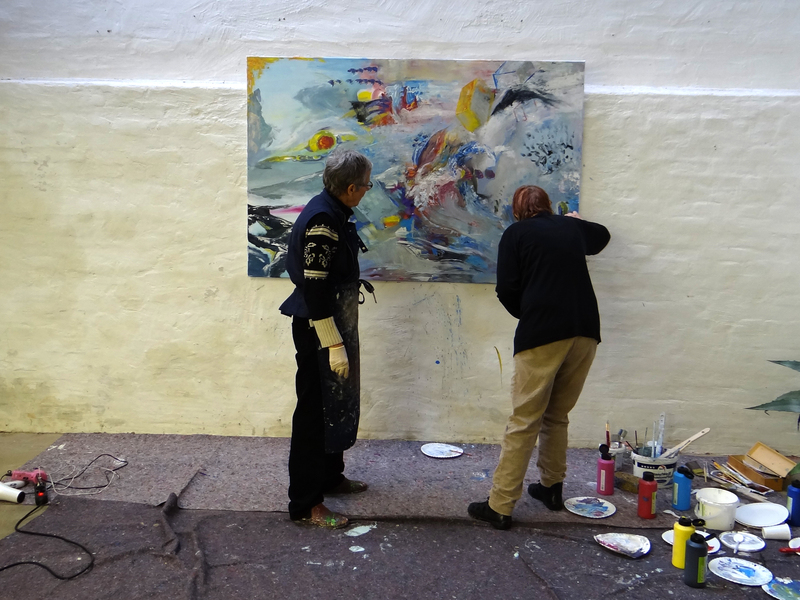 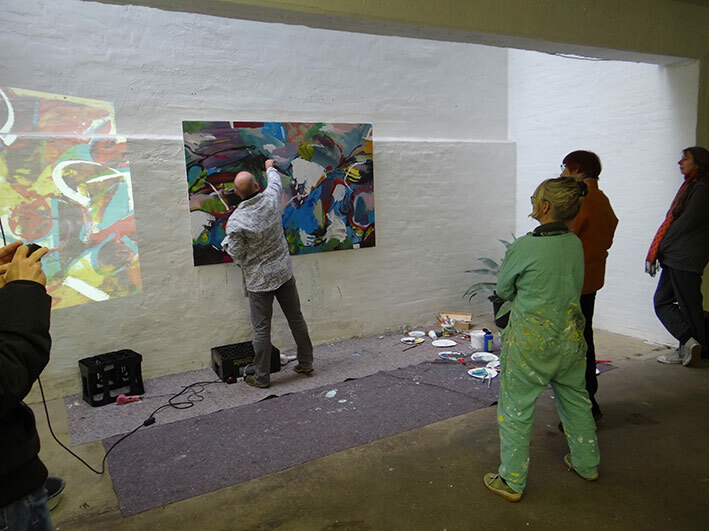 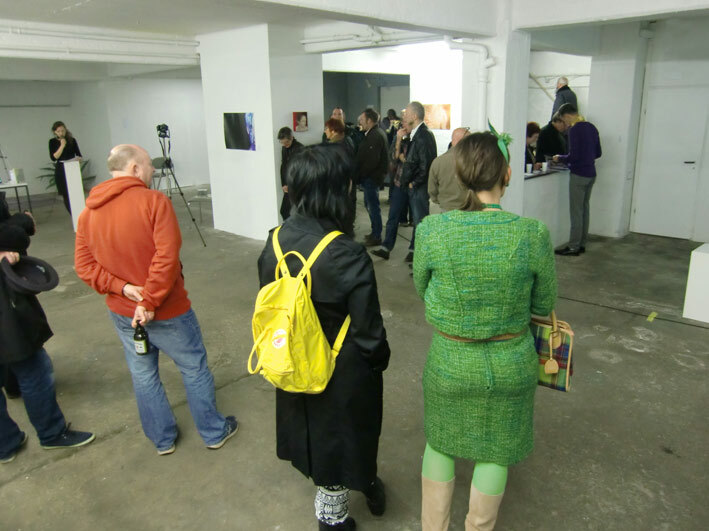 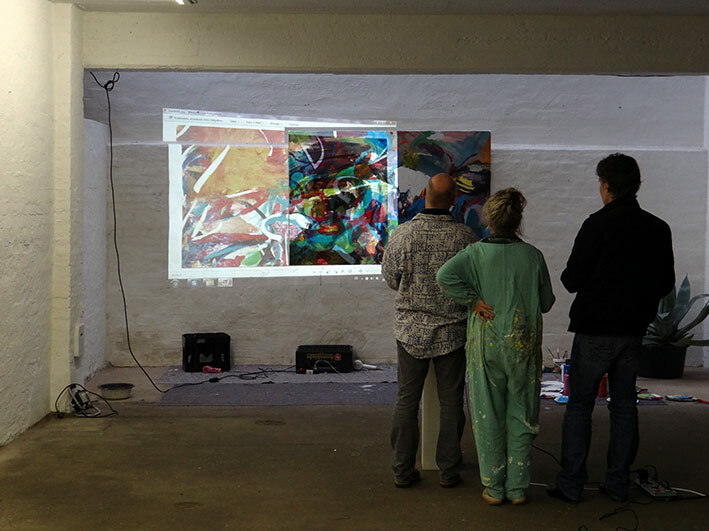 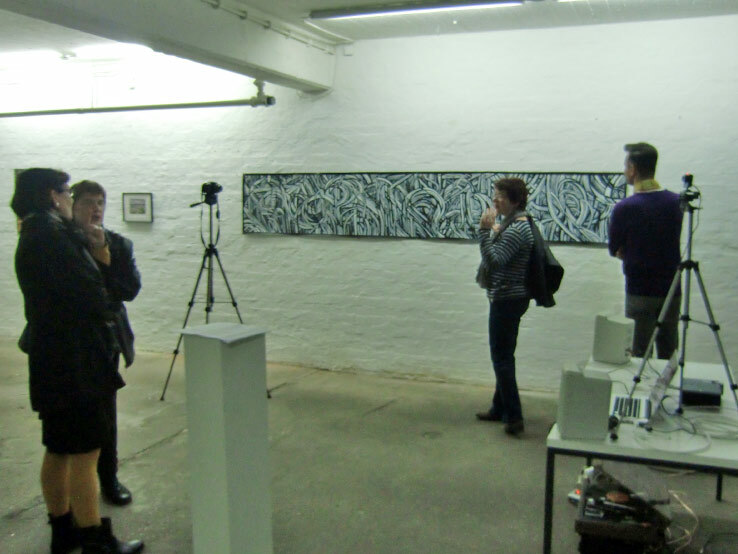 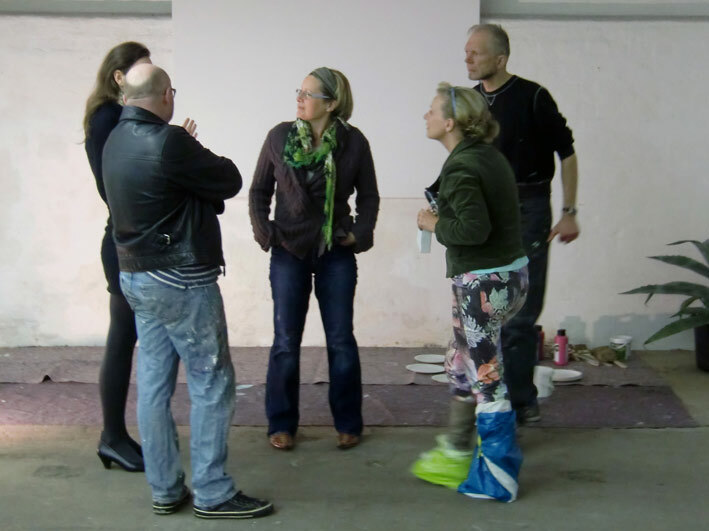 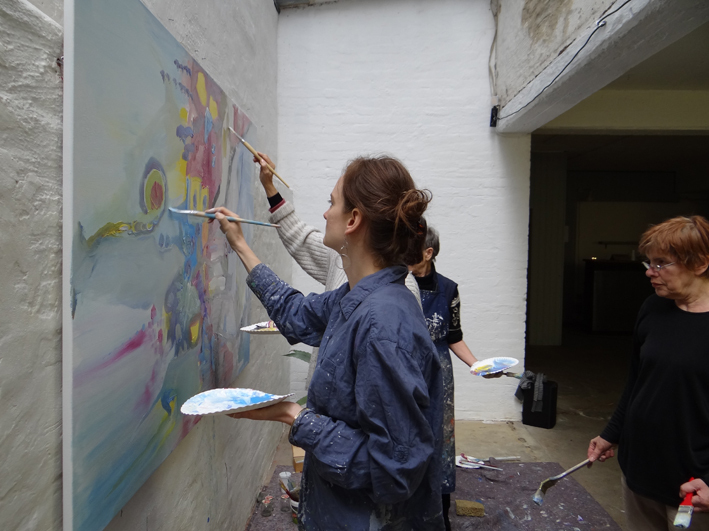 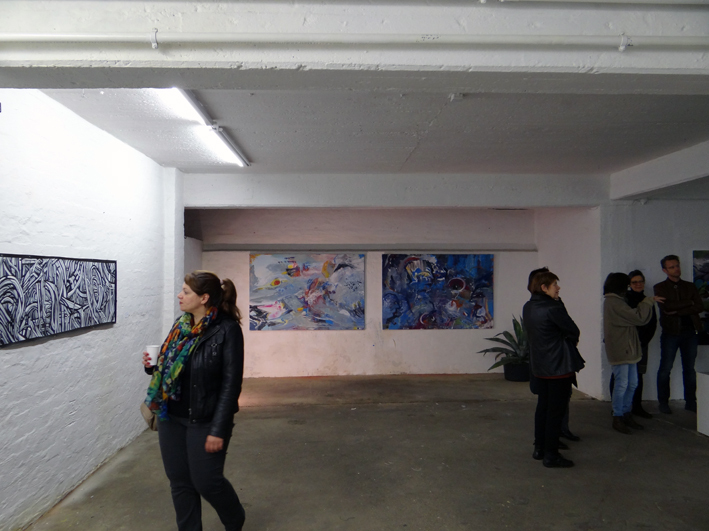 Additionally to the exhibition is while the opening hours of the 19th, 25th and 26th a collaborative painting project. 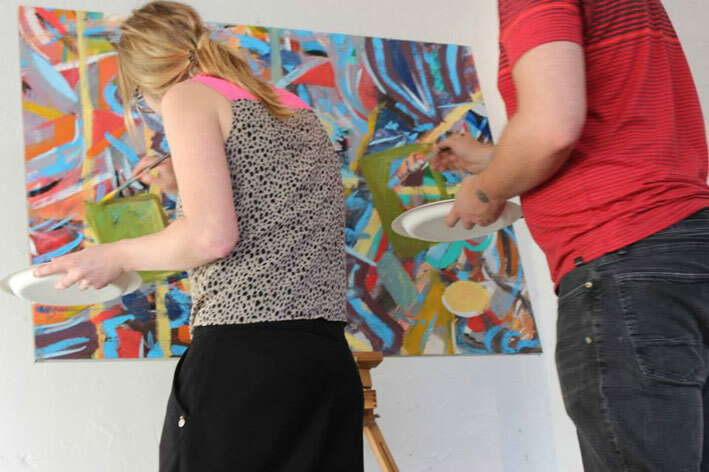 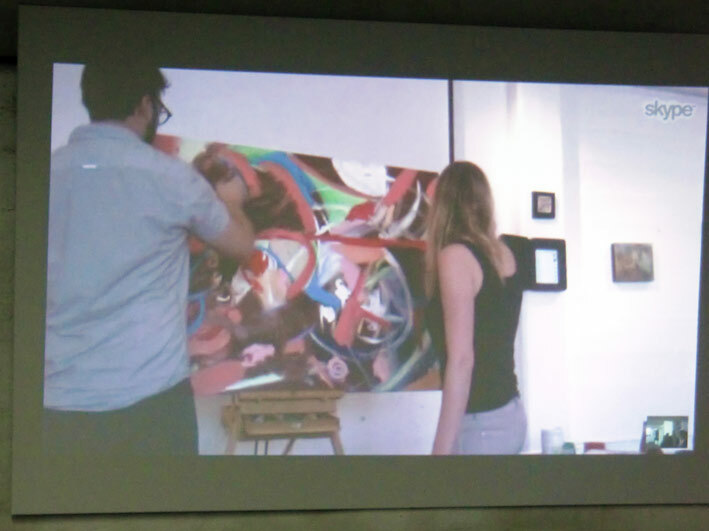 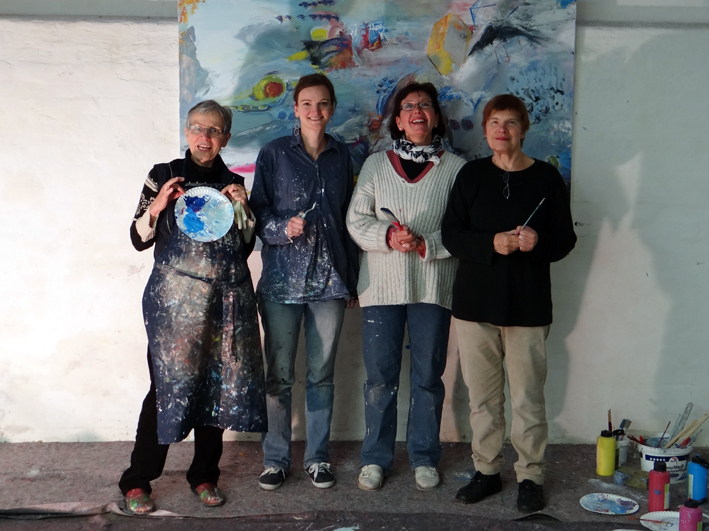 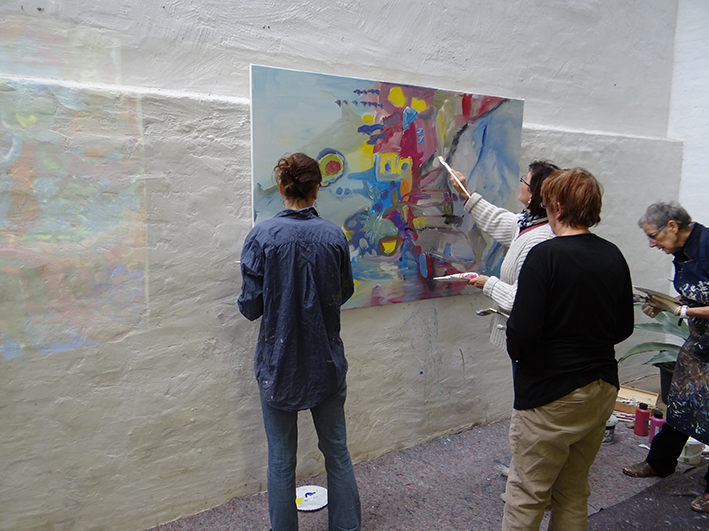 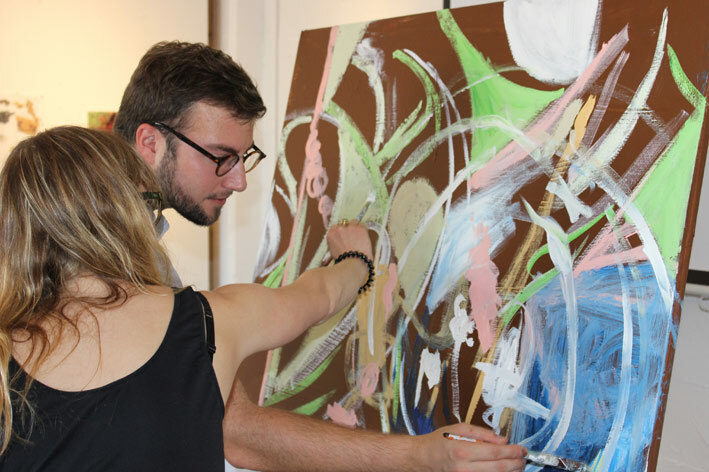 The collaborative painting method is inspired by the tunisian collaborative painting method. 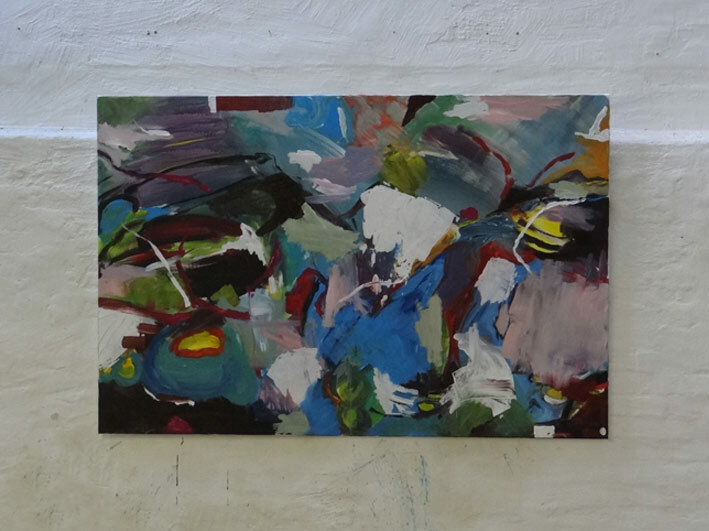 This style of painting is an art form developed in Tunisia in the mid 1980s. 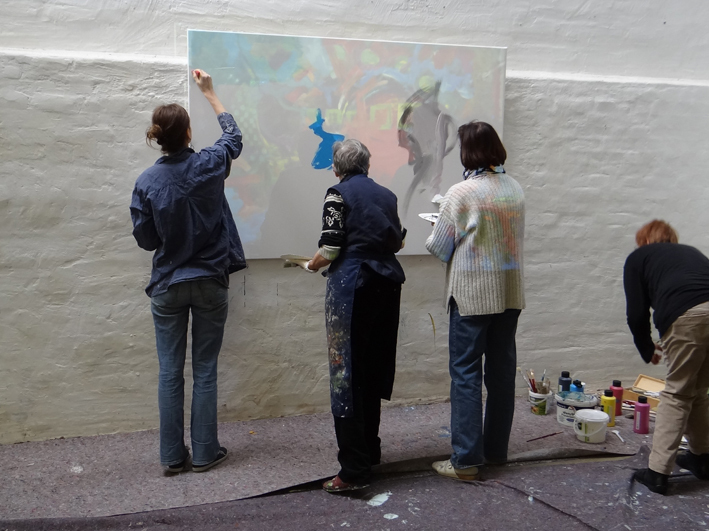 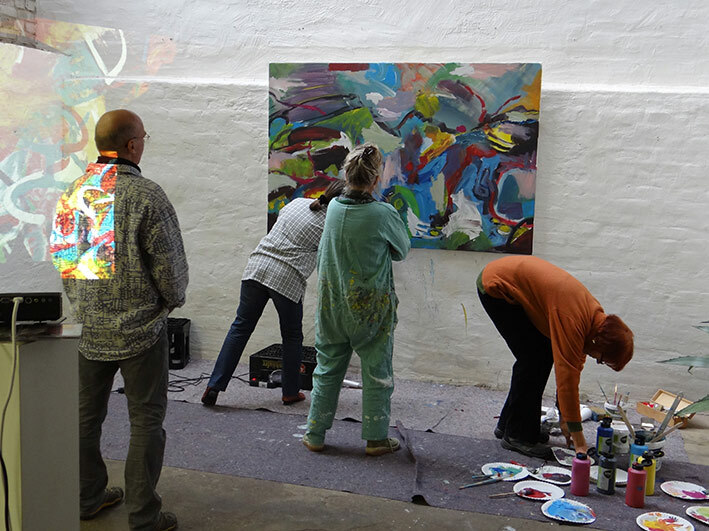 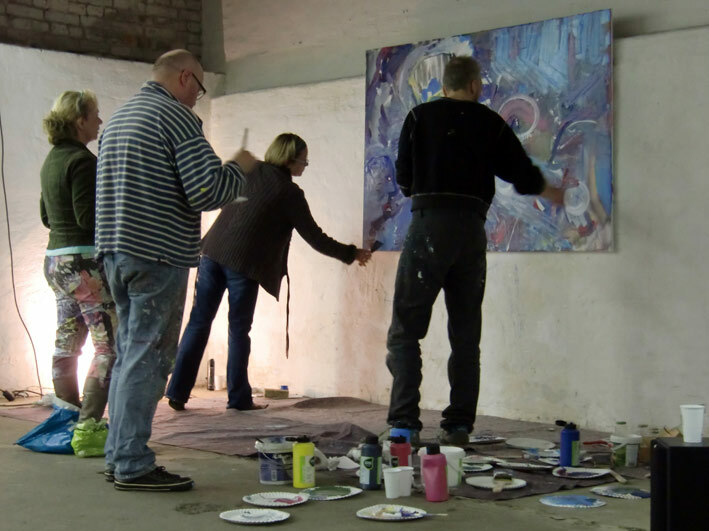 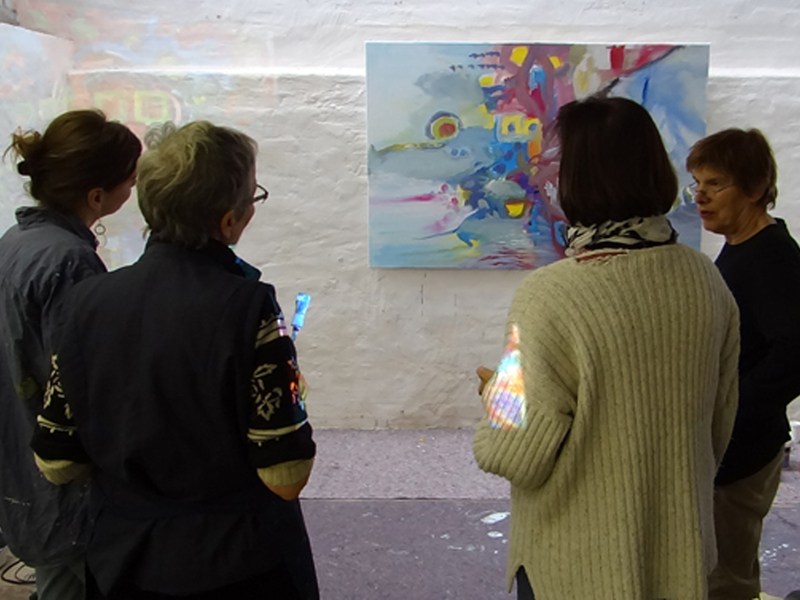 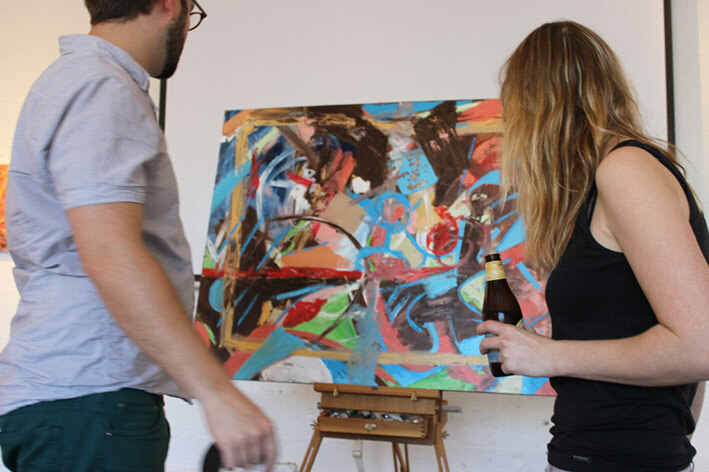 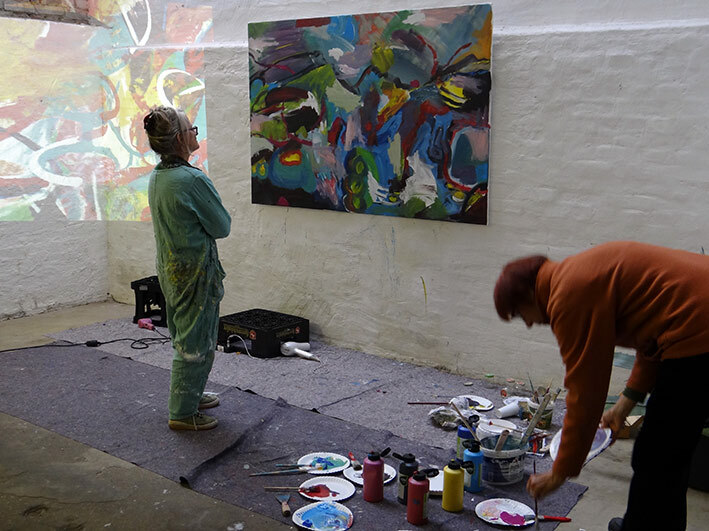 It is unique in its method of allowing a group of artists to work simultaniously on a canvas without discussion or planning beforehand. 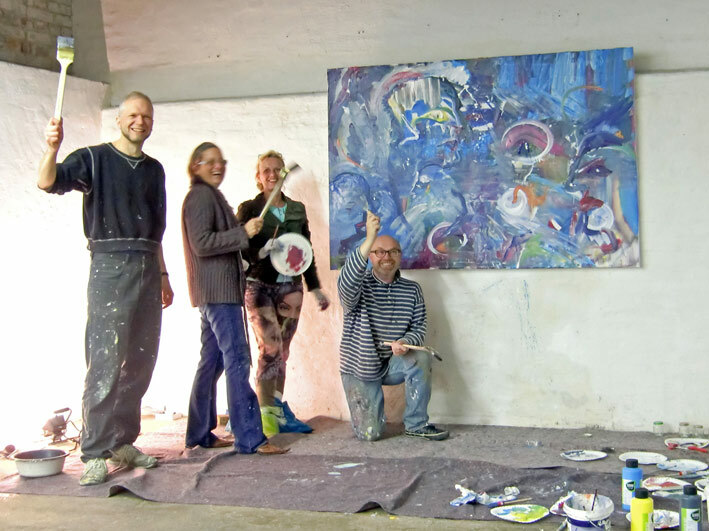 The result is a painting created by a group of individuals that looks like the work of a single artist. 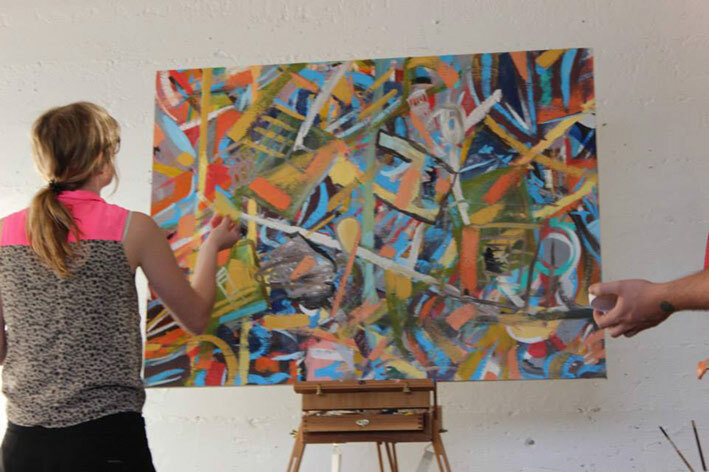 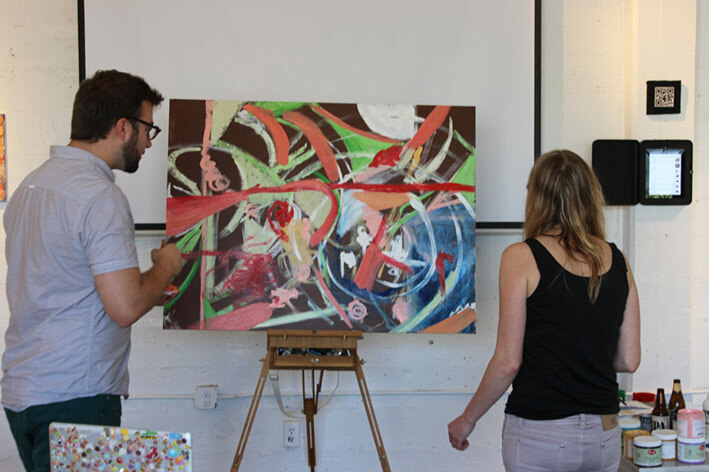 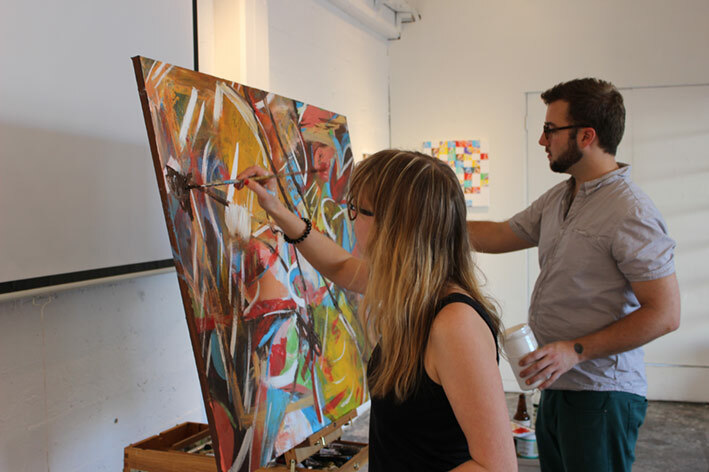 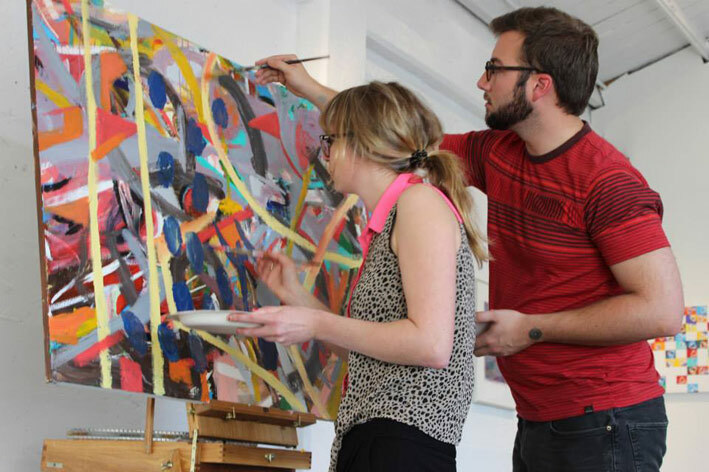 This style of painting helps artists and participants give up control in ways that can help them become better artists. 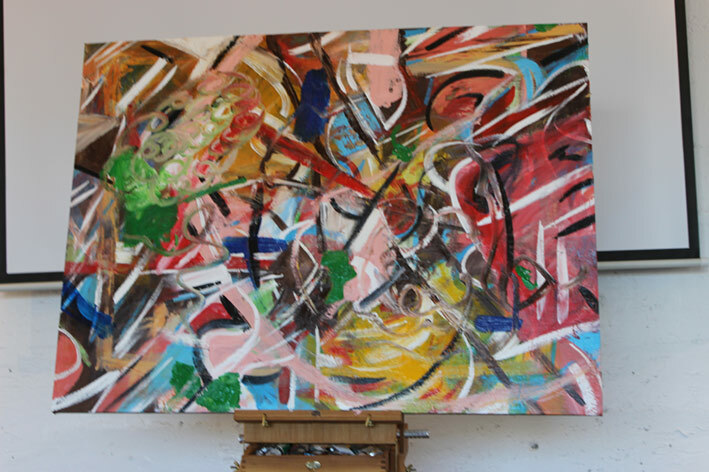 Seeing what emerges without any pre-determination gives artists new insight into what is possible in art. 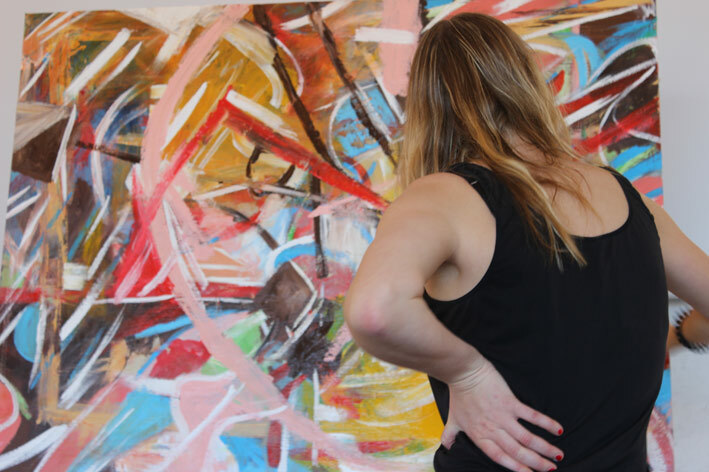 Come and release your thoughts and feelings around rejection using art as the portal for transformative thinking. 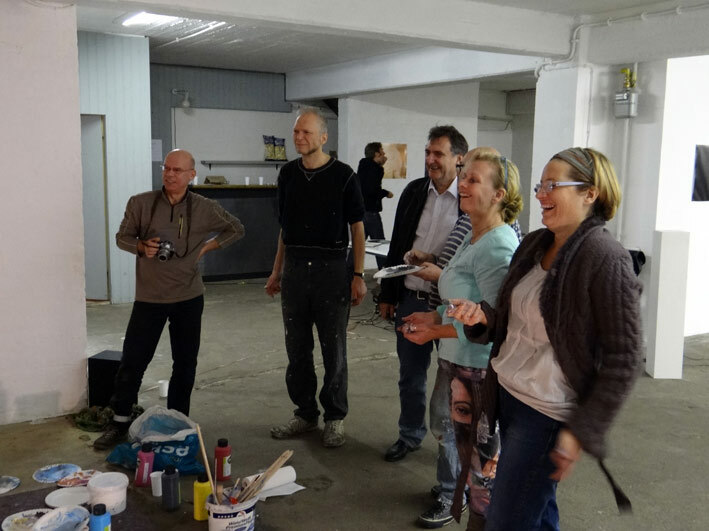 Meet someone new and create a beautifull piece of art. 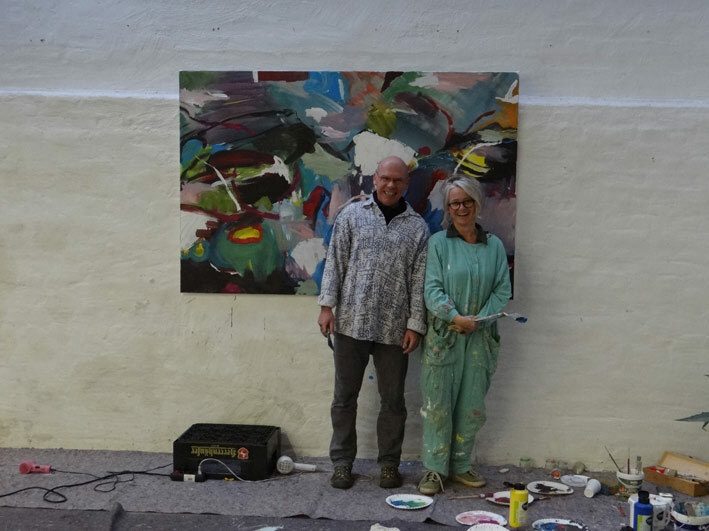 The Collaborative painting project is led by Harrison Love (San Francisco) and will happen in Hanover and San Francisco at the same time. 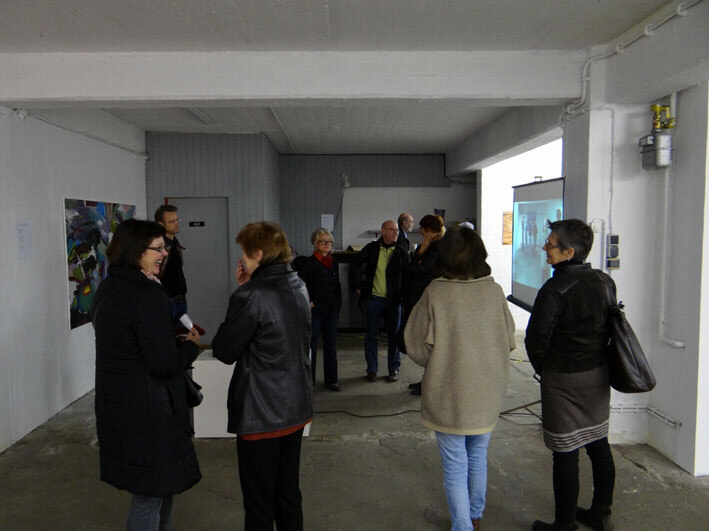 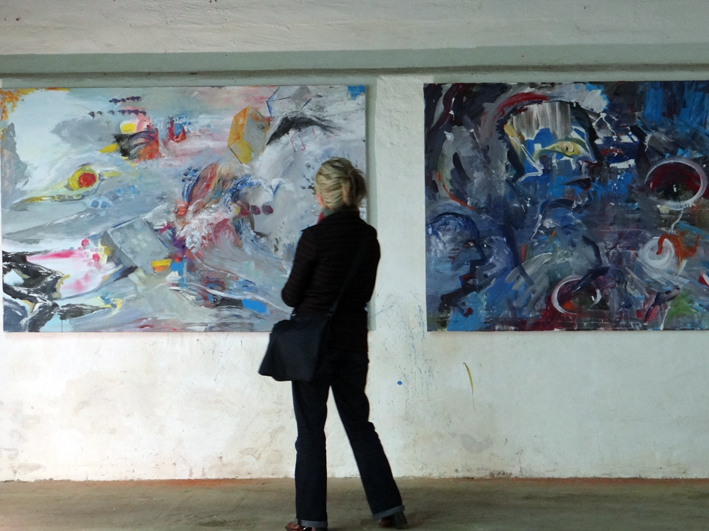 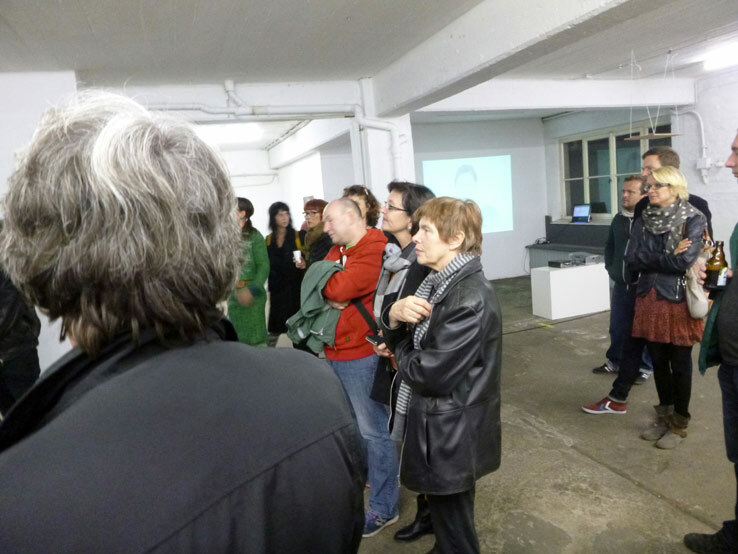 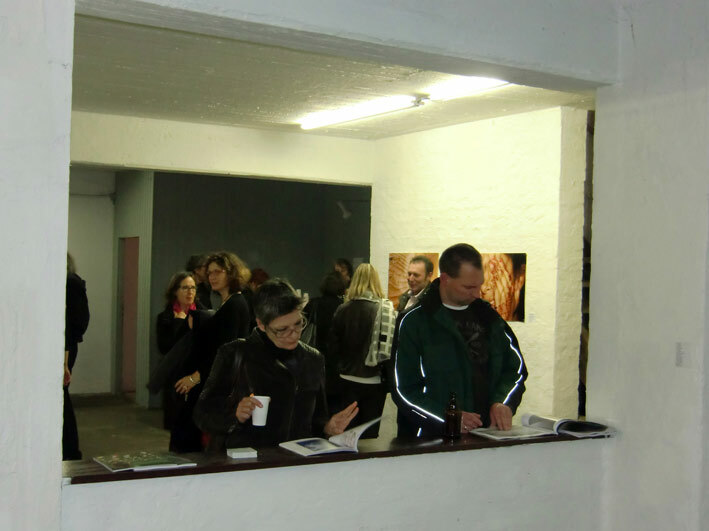 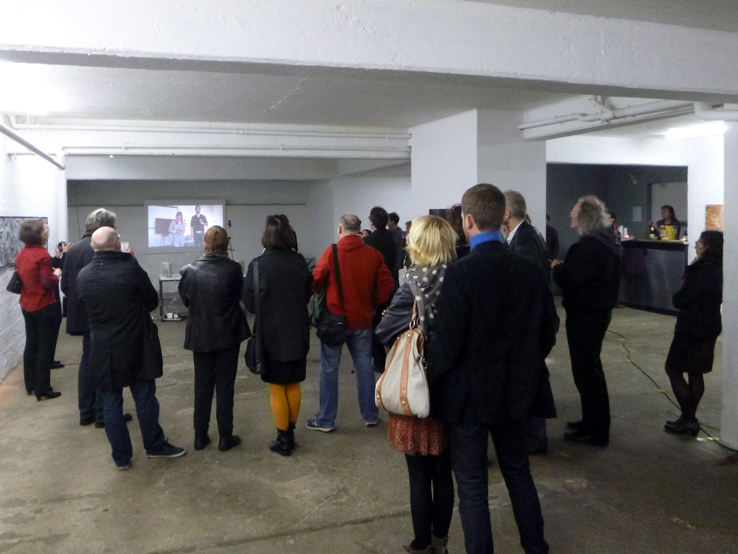 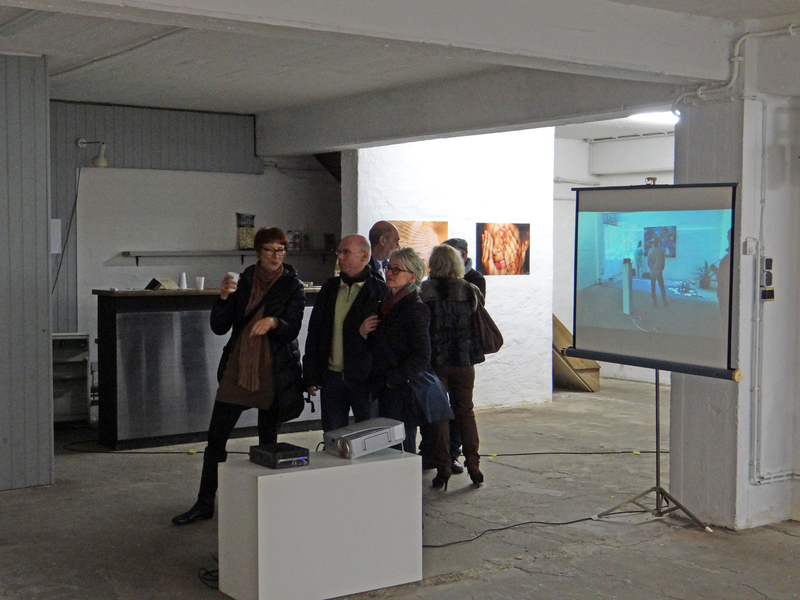 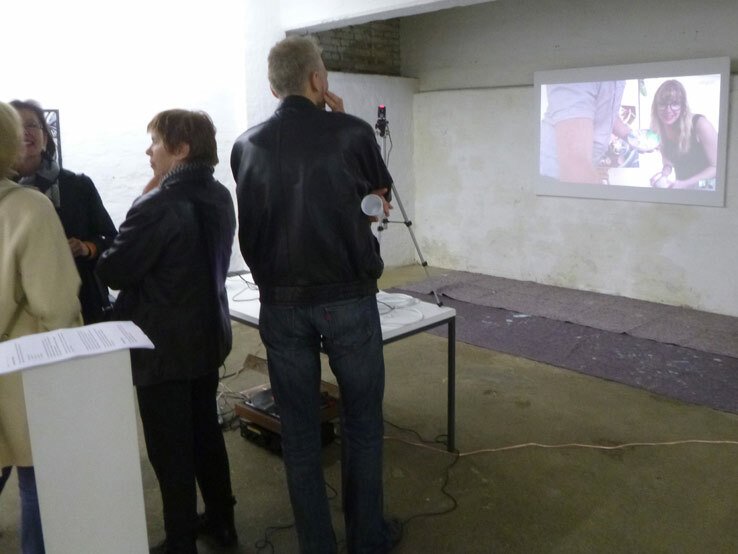 The results will be presented at the Finissage on the 30st of October. 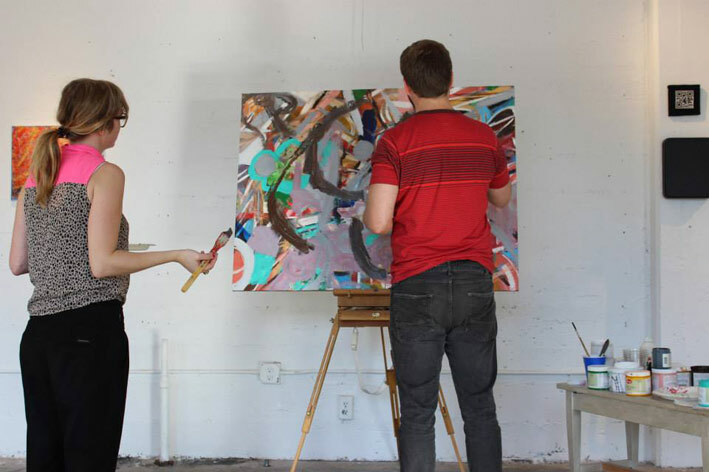 October 19th 7 - 10 p.m.
October 25th 2 - 7 p.m.
October 26th 2 - 7 p.m.